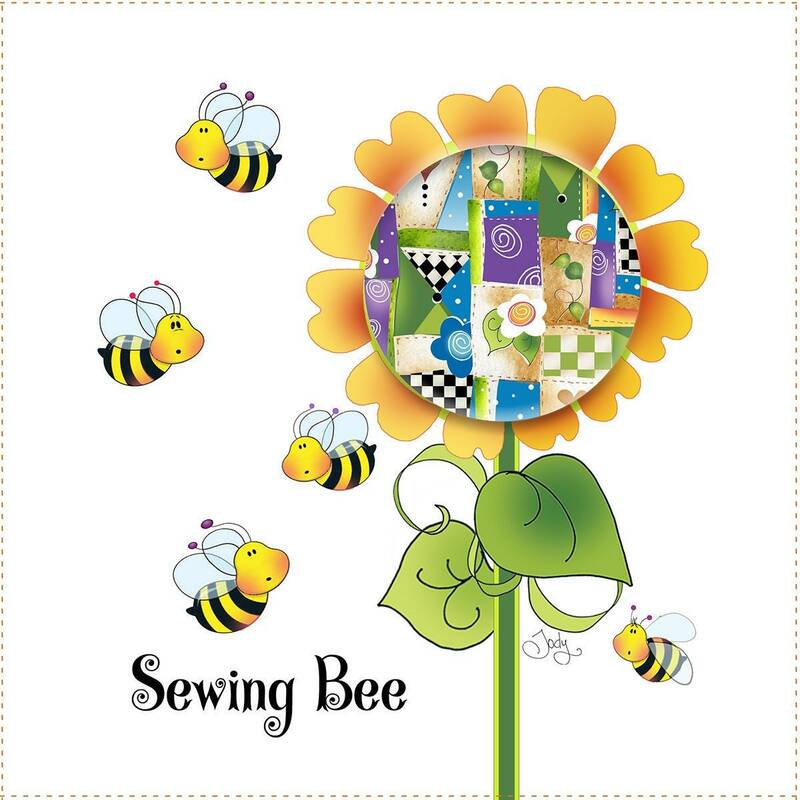 Jody's cute little Bees are the continuing feature in her latest collection of 8" Art Panels. 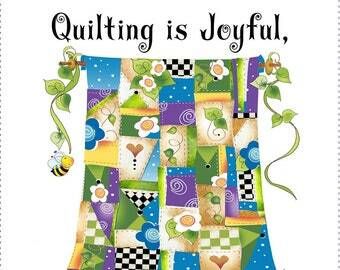 Five panels can create a lap top quilt, with any 8" accompanying quilt block. Select two or three and make a wall hanging by bordering each panel. Select just one and border it for pocket or special feature on the front of a Tote Bag or Zippered Pouch. Zipper Charms are also available in the Zipper Charm section of the website that coordinate with this collection.